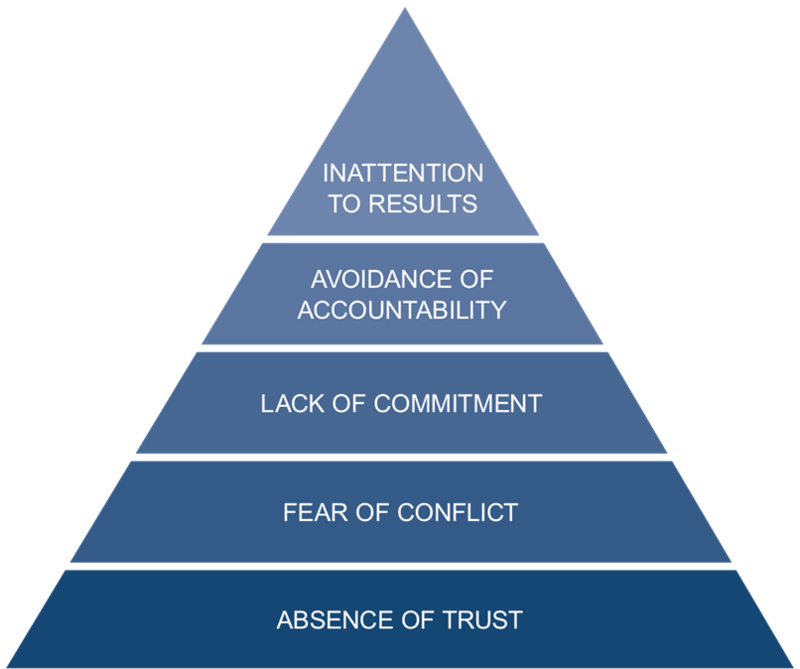 Based on Lencioni’s Five Dysfunctions of a Team model, this workshop helps teams understand dysfunction and foster greater trust among members–and, in turn, the team becomes more productive, efficient, and effective. Teams that trust one another are not afraid to engage in passionate dialogue around issues and decisions that are key to the organization’s success. Teams that engage in unfiltered conflict are able to achieve genuine buy-in around important decisions, even when various members of the team initially disagree. Teams that commit to decisions and standards of performance do not hesitate to hold one another accountable for adhering to those decisions and standards. Teams that trust one another, engage in conflict, commit to decisions, and hold one another accountable are very likely to set aside their inspanidual needs and agendas and focus almost exclusively on what is best for the team.